I can’t help but love and cherish my possession this week! 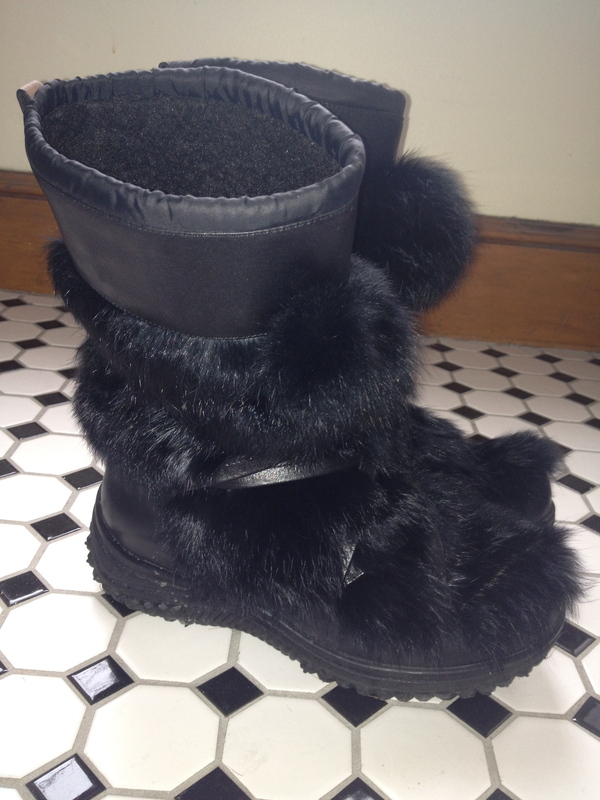 I can’t live without them in this freezing weather; They are practical, warm, fuzzy, non slip. When i first came to Canada, everyone was telling me to get good winter boots, specially non-slippery ones. It was as if they were talking about winter tires (that too was new to me, where i come from we have only one kind of tires!). I couldn’t help but think how ugly these boots are. And i have seen all there is to see. I went around thinking how could they wear these boots?! But after spending some winters here, specially this one, i don’t care what they look like as long as they keep my feet warm and dry!! So yes, definitely a cherished possession! Have a warm day, xo!